If you like to make your own meals, you probably enjoy cooking with wine as much as you enjoy drinking it. If you like to enhance the flavor of your dishes with some good ole vino, you’re going to love experimenting with this innovative culinary ingredient: wine butter. 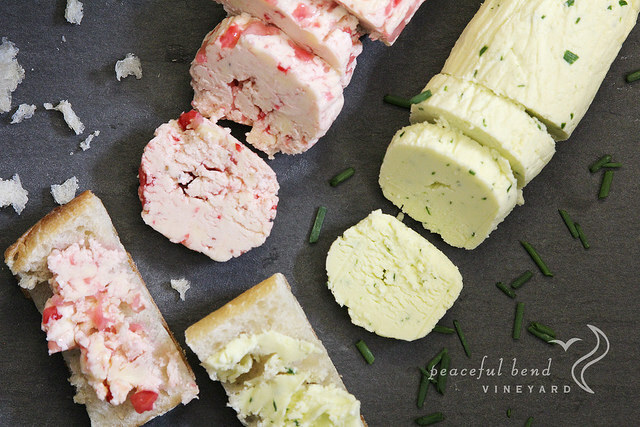 Our friends at Peaceful Bend Vineyard have come up with recipes for wine-flavored butters that are not only great for cooking, but delicious as spreads as well. To make your own, all you need is a stick of unsalted butter, a bottle of your favorite dry wine, sugar and parchment paper. You can then choose a variety of other mix-ins such as fresh herbs or berries to make various flavors. The butter keeps for up to two weeks, and you can use it in recipes that call for cooking wine, or just spread it on a piece of toast and enjoy as a dinner appetizer. You can get the full recipe here from Peaceful Bend Vineyard, where they whipped up a Courtois & Chive Butter version as well as a Yadkin Creek & Strawberry Butter. 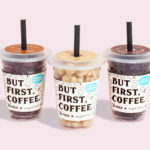 Creamy wine-infused goodness? Yes please.